Following the May 2 election, the friends of several re-elected Liberal MPs, mostly in their 60s, began to try to find ways of helping them to “finish well”. Most of the MPs, as it happened, were people of faith. I will try to describe, in a semi-educated fashion, what was happening and why. They were in the sector of the party that tended to lean “blue” rather than “pink” so they would not be comfortable in any future Liberal-NDP merger. They were at an age where they had given several decades of loyalty, skill and hard work to the Liberal party. They were now wondering whether it was worth their while to continue in elected office. The alternative is that they might rather wish to serve in some non-partisan role – as, perhaps, the religious freedom advocate which has been proposed, or as an ambassador. While they won their seats in the May election, their margins were greatly reduced, because of vote increases in their ridings for either the Conservatives or the NDP. Friends who become aware of the dilemmas faced by such long-serving MPs might have wished they could find a way to get such a person appointed to a suitable position. It is not unknown for people or groups who have networks encompassing both government and opposition leadership to try to pave the way for good communication in the interest of good appointments. It is a task that is fraught with pitfalls. If word of the negotiations should get out, the principals in the discussions could be accused of conflict of interest or worse. Such was the case a few years ago, when an opposition MP taped some such discussions between himself and luminaries in the governing party of the day. The public revelation of the tapings tainted both parties in the process, and the conversations quickly came to an end. 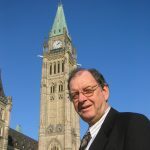 My decision to try to make some observations on this subject was predicated on the recent case of Irwin Cotler, justice minister in the Paul Martin Liberal government, which was defeated in 2006. Cotler is a distinguished person any way you cut it. He is a human rights specialist who holds tenure at McGill University and has been a guest lecturer at Harvard. He is a past president of the Canadian Jewish Congress. In other words, he would be a logical choice for appointment for, let’s say, Canadian ambassador to Israel or the aforementioned religious freedom advocate. Cotler won the Mt. Royal riding in Montreal in a 1999 by-election where he drew 91 per cent of the vote. That seat had been held for years by Pierre Elliott Trudeau, whose name needs no introduction here. Cotler’s margin has reduced considerably since then. In 2008 and 2011, respectively, it was 55 and 41 per cent. Much of that change would relate, arguably, to the ability of the Conservatives to win Jewish votes automatically assumed, for decades, to belong to the Liberal party. Earlier this fall, Cotler rose in the House to report that Conservative pollsters were phoning people in his riding, suggesting there were rumours that he planned to vacate Mt. Royal. He maintained that he was not vacating, and that the rumours were making it hard for him to do his work. 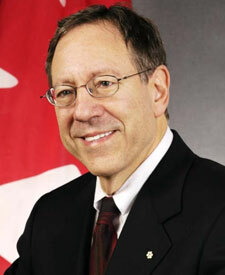 The reason why I suggested, above, that my observations on this subject were semi-educated, is as follows: I have no idea whether Cotler has been offered an appointment by the present government, but I am aware that many Conservative and Liberal people have a high regard for him and would see him as a suitable appointee for either of the offices suggested. An appointment allows a person of integrity who has reached a certain age to “finish well”, rather than being required, for purposes of partisan loyalty, to head into a less-desired political direction. The vacating of a seat allows the governing party to see if it can add to its newly-won urban and ethnic strength. And the ability of a governing party to appoint someone from another party to high office adds to the argument that government leaders can be motivated, when appropriate, to be less partisan than might have been expected. It is to be hoped that possibly questionable tactical activities by anyone involved have not permanently destroyed the opportunity for Cotler to finish well.